`A sublime piece of literary detective work that shows us once and for all how to be precisely the sort of reader that Austen deserves.' Caroline Criado-Perez, Guardian Almost everything we think we know about Jane Austen is wrong. Her novels don't confine themselves to grand houses and they were not written just for readers' enjoyment. She writes about serious subjects and her books are deeply subversive. We just don't read her properly - we haven't been reading her properly for 200 years. Jane Austen, The Secret Radical puts that right. In her first, brilliantly original book, Austen expert Helena Kelly introduces the reader to a passionate woman living in an age of revolution; to a writer who used what was regarded as the lightest of literary genres, the novel, to grapple with the weightiest of subjects - feminism, slavery, abuse, the treatment of the poor, the power of the Church, even evolution - at a time, and in a place, when to write about such things directly was seen as akin to treason. 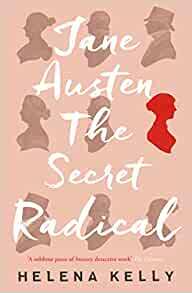 Uncovering a radical, spirited and political engaged Austen, Jane Austen, The Secret Radical will encourage you to read Jane, all over again. 'What this radical re-reading ... does so brilliantly is to exhort us all to chuck out the chintz, and the teacups, and all the traditional romantic notions about Austen's work that have been fed to us for so long ... However well you think you know the novels, you'll be raring to read them again once you've read this.' -- Caroline Sanderson `A sublime piece of literary detective work that shows us once and for all how to be precisely the sort of reader that Austen deserves.' * The Observer * "An addictive debut" * Stylist * 'You'll definitely see Austen's works differently from now on' * Nottingham Post * 'A thoroughly engaging read.' 'Thoroughly impressive and convincing' 'It encapsulates smartly much that a frequently chintzy Austen industry would prefer to overlook.' 'Jane Austen: the Secret Radical is wonderful; a revelation. It's difficult to stand out from the crowd when writing about such an influential figure, but Helena Kelly has certainly achieved that with this smart, knowing, perceptive book.' -- Amanda Foreman --This text refers to an out of print or unavailable edition of this title. Helena Kelly holds degrees in Classics and English from Oxford and King's College London. She teaches Austen at an Oxford summer school, and for a programme for American visiting students in Bath. She has taught Austen to hundreds of people, of all ages, nationalities, and backgrounds. Jane Austen, The Secret Radical is her first book. --This text refers to an out of print or unavailable edition of this title. Ms kelly introduces very new perspectives on all six of the major novels by Jane Austen I was impressed with the book as her claims were logically presented and well substantiated with additional back up material. The publicists of Helena Kelly’s *Jane Austen: The Secret Radical* would have us believe that the book is itself a radical document—an upending of all we “know” about Jane Austen. If the “we” envisioned here means fans who have come to Jane Austen through the filmed adaptations and other popular-culture manifestations, those publicists are doubtless correct. Austen scholars, by contrast, will find less that is new or surprising, along with some ideas that are overstated or simply odd. Still, Austen scholars are few and Austen fans are legion, so this book, pitched as it is for the general reader, arguably has a place. Its claims are worth debating at least. As one who has never considered Austen a writer of romances or even a Romantic (in the sense of the literary movement of the early nineteenth century), I am predisposed to like any book that aims to situate the novels in the philosophical and ideological debates of her day. Despite leading a private, mostly rural life, Austen was well informed and lived in a family that read and thought widely, a family that argued ideas over the dinner table. I am also a reader who finds many hints in Austen’s novels that she was *not* a conservative upholder of the established Church and established social order, contrary to the arguments of her family members and scholars such as Marilyn Butler. At the very least, she found the verities of class structure and institutional religion problematic and often mockworthy. So a book that combs through the novels looking for evidence of Austen’s radical heart finds a receptive audience here. And I found plenty of insight in Kelly’s surveys of the novels to intrigue me. For example, it had not occurred to me to look at *Emma* through the lens of the enclosure controversy, or *Persuasion* in the context of the kinds of doubts that arise when people start to encounter the logic of evolution. Kelly was persuasive in many of her arguments, and I admire her gift for finding the unexpected in the familiar (e.g., her discussion of Austen’s obituaries and speculations about how she came to be buried in Winchester Cathedral was fascinating). But there are downsides. The structure of the book is peculiar, and designed to give fodder for those looking to disparage. Each chapter opens with a little speculative vignette from inside Austen’s head, supposed to give us insight into what she was thinking about at the time she composed each novel. Right there, Kelly is going to lose just about every serious Austen scholar. She claims rigor in basing biographical information on known fact instead of family tradition (and readers of the biographies would do well to be cautious about family traditions regarding Austen’s life and works) but she does not extend the same rigor to her readings of the novels—there are several unforced errors here. Also, she gives no indication that she has read much literary criticism of Austen’s work, which allows critics to dismiss her as a lightweight. The publicists didn’t help by branding the book as revolutionary; many of its ideas can be found in that neglected body of scholarship. And she has a tendency to get overly enthusiastic and take her arguments beyond a reasonable point (especially when they are tainted with Freudian nonsense). In several chapters she mistakes the context of a novel for the central point of the novel. Points that were initially interesting sometimes devolve into the ridiculous. I would hope that these vulnerabilities would not discourage too many readers, however, because there is much of value here. It’s a rare talent to be able to stand outside received wisdom and see familiar material with fresh eyes; Kelly is a pure outside-the-box thinker. And I think she’s right on many points. *Mansfield Park* really is about slavery—I would even take her claim further and say that Fanny Price herself is to be seen as for all intents and purposes a slave. *Sense and Sensibility* really does challenge the practices and assumptions of primogeniture. And so on. Kelly argues in lucid terms for a thinking, challenging, contrarian-minded Jane Austen who has a tremendous gift for subtlety and who makes her points through deceptively cozy, everyday stories. The marriage plot is for Austen a Trojan horse, infiltrating her ideas into the reader’s consciousness without our fully realizing it. Is she lots of fun to read? Yeah, that too. But many or most of her readers also need to be alive to the fact that she’s more than that, and Kelly’s book—even when you might disagree with it or laugh at the overreaches—will help you get there. I purchased a copy from Amazon UK. Too dry for me. Not what I expected. What a load of noncence a pititiful attempt to explain an author from 200 years ago who wrote fiction. 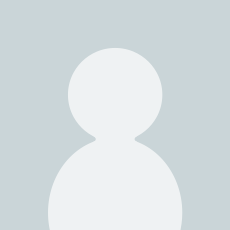 Helena is a sad woman trying to put her current political views or ideologies on an author who is not alive to reputitate her accusations or insinuations. Don't bother to read this to find truth about an author you love who created some of the finest pieces of literature I personally have loved and studied. This is a modern day author who tries to imbue her values and ideals on a woman she didn't know (obviously) and creates her own fictional version of Austen just to sell her own book... sad😡😥 Write a real book about something you actually know or just call it fiction as that is what it obviously is.